The Sisters made themselves available to anyone who wanted to talk about vocations. During the afternoon, Mass was celebrated in Sacred Heart Chapel by Father Sean Suckiel, diocesan vocation director, who recently marked his sixth anniversary of ordination to the priesthood. In his homily, he spoke of his own love for his vocation. “When Pope Francis visited New York at St. Patrick’s Cathedral, he said, ‘Joyful people attract others to Jesus,’” he said. “This has been a year to highlight the importance of religious life but also to inspire our young people to be courageous and follow the call that God has put forth for them. We must fall in love with our vocations once again. “We live in a world where the word ‘love’ is abused because we use it in so many ways, but we look upon Jesus on the cross and see an innocent man took on hell for us and that is love. “So, I say again, joyful people attract others to Jesus. Our young people today are tired of being told what to do and they need to see witness and see joy. That joy is then contagious,” he said. That joy is seen and felt in the lives and monastic-contemplative ministry of the Visitation Sisters. 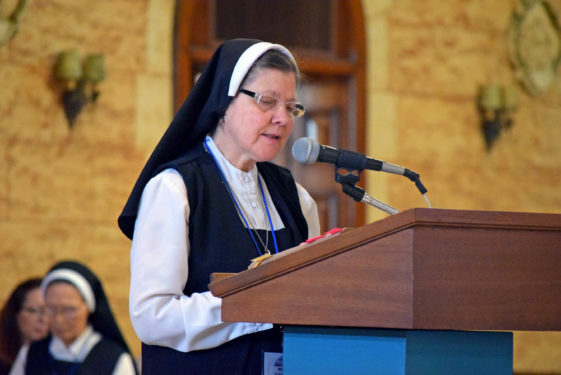 Mother Susan Marie Kasprzak, V.H.M., superior of the Brooklyn Visitation Sisters. 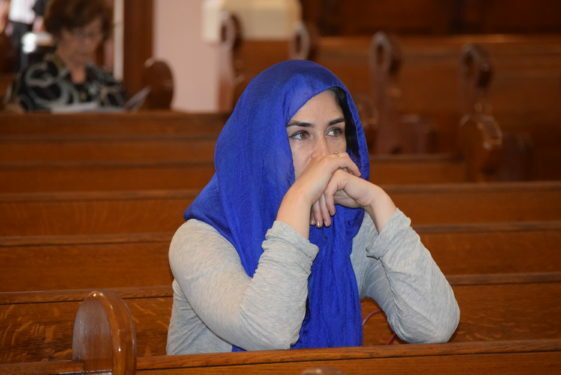 She shared how a young woman approached the Sisters with questions after they conducted their annual Sacred Heart Novena this month. Just as they were there for her, the Sisters want to be there for anyone discerning a religious vocation. Fr. Sean gave a beautiful homily and his joyful testimony was a blessing! The Sisters were so gracious and gave us a tour of the magnificent monastic grounds. I especially enjoyed my time afterwards with the Sisters in conversation. May God Bless the Visitation Sisters for all their dedication and prayers!